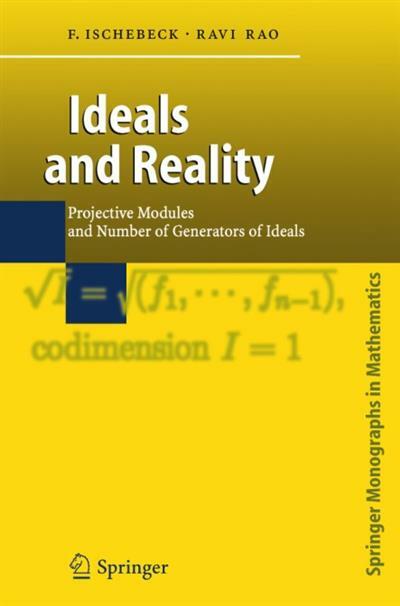 This monograph tells the story of a philosophy of J-P. Serre and his vision of relating that philosophy to problems in affine algebraic geometry. It gives a lucid presentation of the Quillen-Suslin theorem settling Serre's conjecture. The central topic of the book is the question of whether a curve in $n$-space is as a set an intersection of $(n-1)$ hypersurfaces, depicted by the central theorems of Ferrand, Szpiro, Cowsik-Nori, Mohan Kumar, BoratГЅnski.